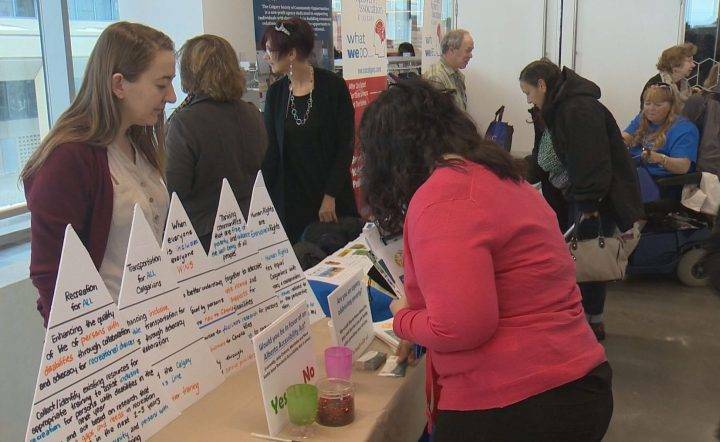 People in Calgary marked International Day of Persons with Disabilities (IDPD) at Central Library on Monday. The IDPD event highlighted the achievements of people with disabilities in the city and included opportunities to learn about programs, resources and services in the disabled community. “The goal of IDPD is to bring awareness to disability and continue the conversation that’s already started,” said volunteer Makrina Morozowski. The United Nations recognizes Dec. 3 as a way to promote understanding of contributions made and challenges faced by people with disabilities. Calgary’s IDPD theme this year was accessible and inclusive cities.